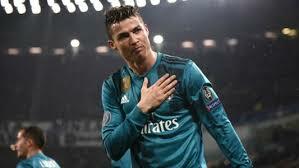 Juventus goalkeeper, Gianluigi Buffon has likened Real Madrid’s star, Cristiano Ronaldo to Pele and Diego Maradona. He stated this after the Champoins League match between his side and Madrid, on Tuesday night, at Allianz Stadium, Italy. “When you’re playing against incredible players, it’s not like you’re making mistakes, when they score so many, you may just be a little bit less precise at times but when you face the best, these things can happen.